Now, every statue’s history, on your cell phone screen, with just one click! In our effort to remain on top of emerging technologies, we take our products to the next level. 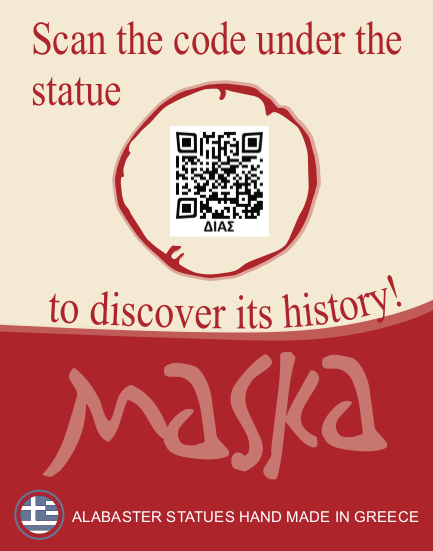 We placed a QR Code at the bottom of every statue and hid there, all of its history in 5 different languages! So, by scanning the QR Code with your cell phone, you have the history of each statue at your screen, in English, Greek, French, German and Russian. All orders are accompanied by an informative shelf label for your store.